We continue our series of articles, in which we discuss the development of the Pz.Kpfw. VIII 'Maus'. After taking a look at ideas and visions leading to the development of its prototypes, we will take a closer look at the infamous German vehicle that got past the firing range tests. In the spring of 1944, both tanks were delivered to the Kummersdorf testing ground located in Zossen: The “Porsche Type 205/1” and the “Porsche Type 205/2”. 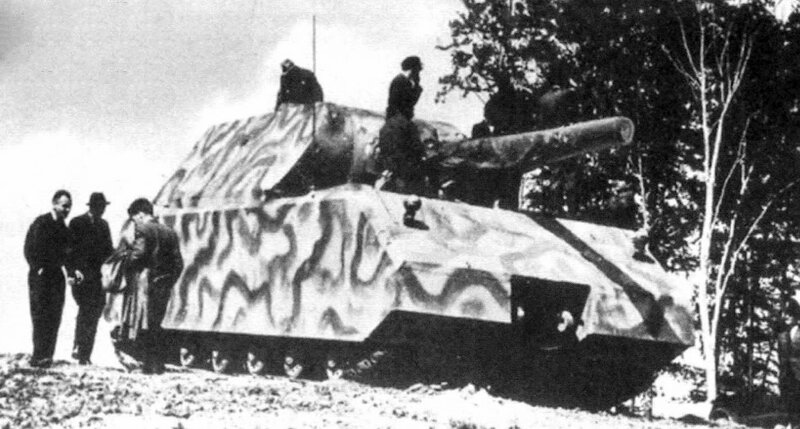 By June 1944, the first to undergo running tests was the Panzerkampfwagen VIII Maus with the inclusion of an attached turret (the first prototype had no turret). The first tests immediately highlighted that the concerns about the new tank's ability to overcome obstacles were unwarranted. The second prototype joined the testing ground in September 1944. Aside from running tests, this tank also underwent artillery tests with its standard weaponry. According to the testimony of the leading engineer at the Alkett company, Laube, "in the tests, the tank showed good maneuverability, mobility and manageability". However, developers abandoned further testing, as it became clear that German armour construction industry could not support the construction of such huge vehicles, even using a minimal production of 10 vehicles per month.The political and military leaders of the Third Reich systematically attempted to develop superheavy tanks, following a program of developing "wonder weapons". In spite of the fact that these projects led to the construction of only individual prototypes, the list of projects boggles the imagination. In the final stages of the Second World War, German engineers had developed such vehicles as the Henschel E-100, the "Krupp-Maus" (VK 7001 (К)) and the "Bär" (Bear). In spite of their high intensity, developments on the VK 7001 (К) and "Bär" ceased at the design stage. By the end of 1944, project Е-100 was also frozen. The unfinished prototype of this tank ended up in the Anglo-American zone. 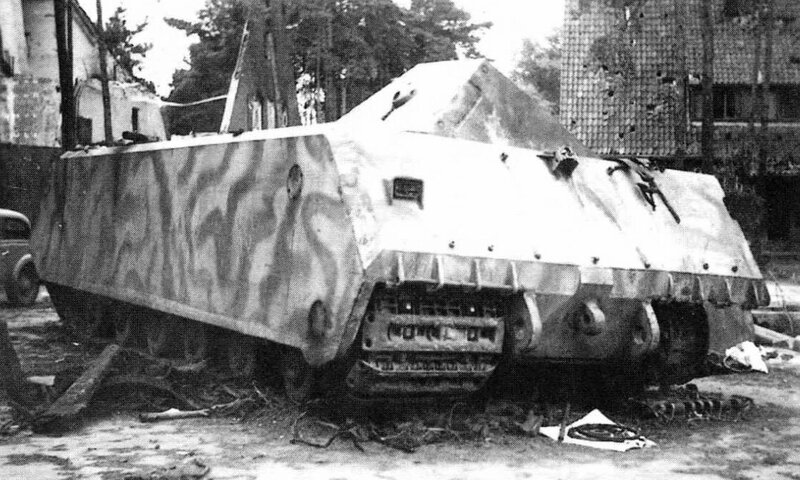 Only Ferdinand Porsche's Panzerkampfwagen VIII Maus design was taken to the stage of a built prototype able to participate in military operations. The lightning-fast advance of the Red Army and the impossibility of evacuating such massive tanks in a short time from the Kummersdorf testing ground forced engineers and testers to take the decision to destroy them by blowing them up. It is unknown why this is the case, but only the "Type 205/2" was subject to this significant decision. This vehicle was 14 km away from the testing ground, at a Stammlager (Camp HQ) near Zossen. "Type 205/2" took significant hull damage. "Type 205/1" with its turret attached, was discovered near the western batteries of the Kummersdorf artillery testing ground. In spite of the fact that this prototype also underwent a demolition attempt, it did not take significant damage. No less interesting is the visible damage on the vehicle's side and frontal armour, received, by all appearances, from artillery fire against the tank with the aim of studying the capabilities of its armour. After both prototypes of the Panzerkampfwagen VIII Maus were discovered, specialists at the Technical Commission for the Ministry of Transport Machine Building of the USSR, under orders from armour command, were able to assemble a single tank from the two damaged tanks. This tank was sent to the USSR with the aim of studying the capabilities of its design in depth. On the 4th May 1946, the Maus was delivered to the armour research institute at the Red Army Head armour Command testing grounds located at the Kubinka village. 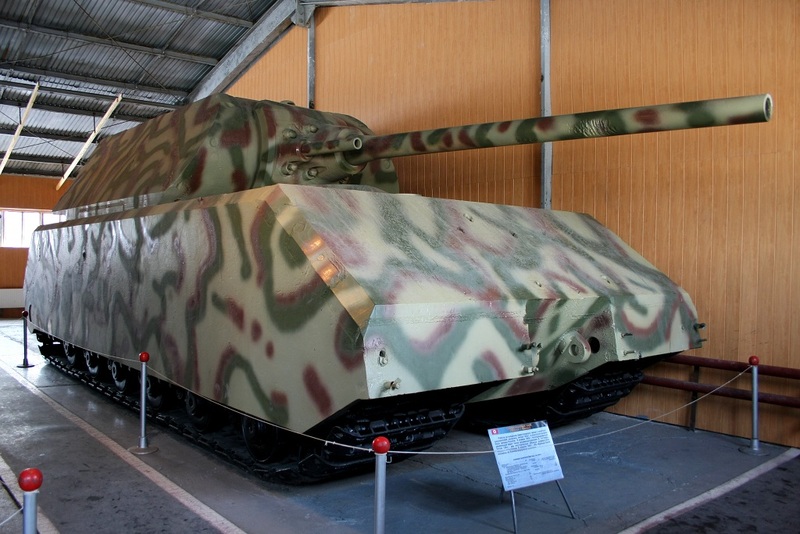 After the Panzerkampfwagen VIII Maus was studied, it took its place in the gallery of the Kubinka Tank Museum, where it can still be seen today.